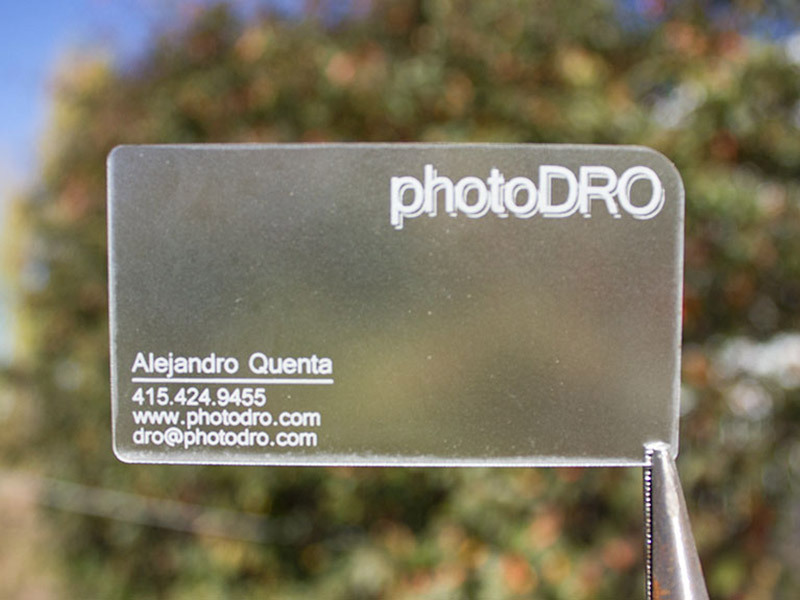 PhotoDRO Cards - Pure Black, Inc.
My good friend Alejandro wanted to get some premium business cards for his photography outfit PhotoDRO. He wanted something minimal, but heavy hitting. We went with a 1/32″ clear acrylic and the end result wound up being spot on.